The Trampoline & DMT NDP Finals took place from 7-8 July 2018. In the Age 9-10 group Anna put in a fantastic performance to became Marriotts’ first NDP Champion! Finally in the age 13-14 group Tilly, who has been recovering from an ankle injury, put in a great performance, sticking 3 out of 4 of her passes and finishing in 7th place. Lewis and Marshall competed in the NDP Performance Level (the second tier of competition in Great Britain) for Trampoline. For Lewis, who is in his first competitive year of trampolining, simply getting to the NDP Finals was a fantastic achievement in itself. Although he made a couple of mistakes on the day he came away in a highly respectable 7th place in the 15-16 age group. Marshall produced two good routines, with a new PB difficulty score, in a highly competitive group to finish 6th in the 13-14 age group. 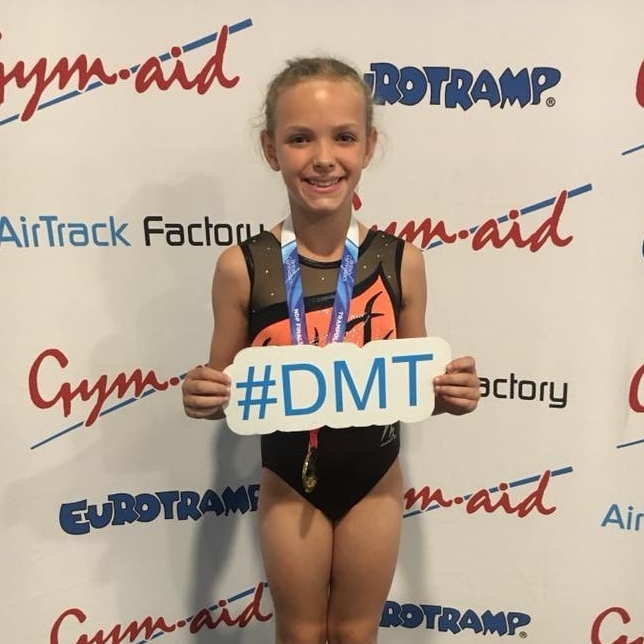 Great results for the DMT and Trampoline squads!